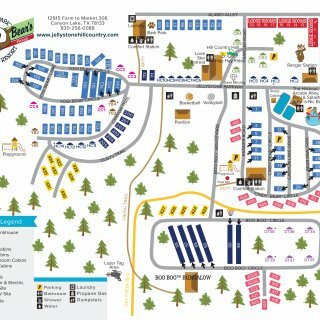 Ask fellow campers about "Hill Country Cottage and RV Resort" and nearby attractions. We stayed in the upper section. Area where we stayed was gravel and not very level. Couldn't get level on first site (415) and had to move. Office was accommodating to move. Gravel had not been packed and had to use blocks under Jack's or they just sank in gravel. Mostly semi-permanent around us but sites were mostly well-kept. Cable worked well. There was some road noise and an occasional train, but not bad. There was an open field in front of our site and we had daily deer sightings. Trash (litter) along the road in front of us was not picked up though lots of employees were back and forth on golf carts. We camped at Hill Country Cottage and RV Resort in a Motorhome. Great park and franchise, nice place and people. Workout facilities were very good and clean, as was the sauna. Pool and pool area were clean. Only non-positives were the wifi was weak, fenced dog park was tiny and needs lighting. The location was handy and there are nice public dog parks a couple miles away. We camped at Hill Country Cottage and RV Resort in a Travel Trailer. Long gravel pull through, concrete patio (although it did not align with the front door on a diesel pusher pulled ahead to leave the toad connected), good power, good double spigot water, good sewer. WIFI was fairly good. Approximately 50 cable tv channels were fuzzy but about the same number of OTA channels were clear. Picnic table. Private shower rooms were warm, clean with a generous supply of hot water. Didn't us the pool, hot tub or exercise equipment due to limited stay. Fenced dog park was not the best due to irresponsible pet owners. Hard to differentiate our dogs droppings from all the others that were not picked up. An incredible number of speed bumps while making the loop from the office to the site. Fortunately few of the cabins were occupied at the time so could drive in the parking strip and avoid many. With the heavy rain and trees, the slide covers were covered with wet leaves. The Park had done some new paving of the roads which was nice. Rate was with the Passport America discount. We camped at Hill Country Cottage and RV Resort in a Motorhome. I'll start off by saying, "we won't ever stay here again" the sites are tight, gravel & not level. 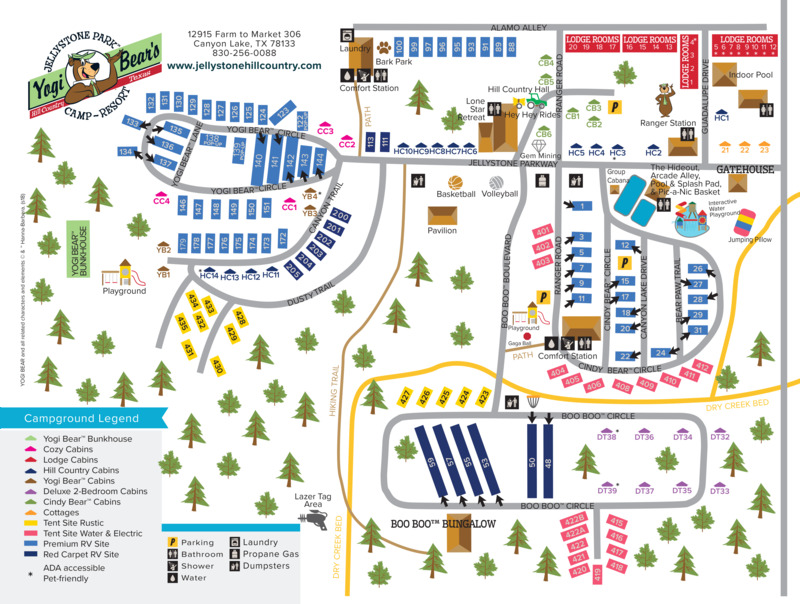 The entire resort seems over populated: approximately 263 RV sites and 110 cottages. It was chaos and no one followed the speed limit even the camp works / employees speeding around on their golf carts. 1 of the dog areas is actually a retention pond area and also has construction materials around it and the other is a extremely small fenced area covered in poop as well located near trash dumpsters. It's hard to handle the smell. We had high hopes when we booked this resort because of their ammenties but 1 outdoor pool can not sustain the amount of people and didn't appear clean. Although, they had an indoor pool we didn't use it. The customer service was very pleasant upon checkin other than that I find it difficult to find anything positive about this resort. We camped at Hill Country Cottage and RV Resort in a Motorhome. We truly enjoyed tubing the Comal River. Actually, it was 1 of our favorites. Park at Prince Solms Park approx 3.8 miles away and if you have your own tube it's only $2.00. If you want a good beer option with a nice atmosphere go to Krause's. For some of the best eats go to Buttermilk Cafe. Of course the Schlitterbahn is 4.2 miles and is fun for the whole family. Lastly, check out Escape Haus (escape room game). This is an older park. Family friendly . Some sites are very narrow. We had a newer site which was wide but on soft gravel so our rig sunk almost to the axel.. However there is empty field across the street with deer & lots of fire flies.. Nice Pool, has laundry room but didn't use.. They are updating the bathroom & Shower area in the lower part of the park which they really needed to do. We camped at Hill Country Cottage and RV Resort in a Motorhome. After two nights they needed to move us - our jacks were sinking into the ground - some sort of water leak in one of their underground pipes - if i am going to have to move and don't care much for the cg - I am gonna move right out of the park. 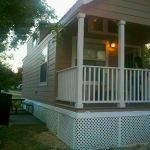 We camped at Hill Country Cottage and RV Resort in a Travel Trailer. Long gravel pull-thru with concrete patio and picnic table. 49 channels of cable tv. Good wifi. Nice warm outdoor pool. Nice hot tub. Nice big private bathroom/shower rooms. Nice laundry room. Nice exercise room. Dog park is fairly small and the grass is a little bare. 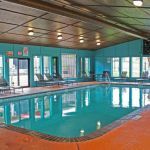 Wonderful amenities especially considering the Passport America price. Only negatives was the security light near our site was not operating, no light near the dog park and a large ant nest at the end of the concrete patio. We camped at Hill Country Cottage and RV Resort in a Motorhome. Stayed at the resort due to everyone else being sold out. Staff was polite on checkin. Site is gravel with concrete pad for picnic table. Pool was full but water smelled like sweat and chemically seemed out of wack. Many permanent units and a few that are not well taken care off. All sites seems to be in the middle of utility upgrades so dirt piles everywhere. Very close to highway but the noise was not too bad. Would stay if nothing else available. Stay in upper area a little more expensive but less construction. 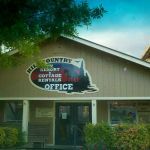 We camped at Hill Country Cottage and RV Resort in a Travel Trailer. We booked a premium site. There is nothing premium about it--gravel and not level at all. For the money, I would have expected at least cable TV. Roads are full of potholes. Dog park is a disgrace--full of poop and not cared for. I realize that dog owners have the ultimate responsibility for clean up, but the park is clearly not enforcing the rules. Lots of permanent residents. Park appears tired. 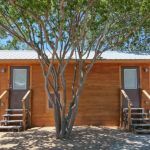 We camped at Hill Country Cottage and RV Resort in a Fifth Wheel. Park is too noisy--right off interstate. The staff is okay but can be rude at times. Nice showers and laundry. 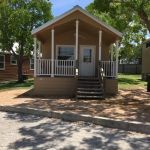 We camped at Hill Country Cottage and RV Resort in a Travel Trailer. New Braunfels is a great town- plenty of restaurants and shopping available. The spot assigned to us upon arrival was small and we barely fit (31 ft. trailer). The pad was gravel and very uneven. We were so close to the hook ups that we almost did not have room to extend the slide out. We were right next to a cottage with a small patio where they grilled their food. Since we were so close, the fumes would get into our trailer. There was a picnic table, but it was not on a concrete pad and we couldn't move it. It ended up right next to the trailer. We couldn't use it anyway due to the sticky sap on it. The cable did not work, and the wifi was a very low band. There were no trees for shade on the lot assigned to us. We have stayed at much nicer places for a lot less. For almost $100/night we expected much nicer. We camped at Hill Country Cottage and RV Resort in a Travel Trailer. 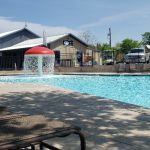 This is an older, poorly maintained RV Park whose single positive is that it is in good location for seeing New Braunfels. The paved roads are uneven and rutted, with grass is growing though most of the thinly-gravelled sites. Weeds abound. Traffic noise from I35 is constant. Dog mess is pervasive throughout; it is especially bad in the dog run. I had to clean my own site of dog mess from the previous occupant. Our site required 2 Lego blocks side to side to level. The picnic table was older and in need of repair. We had a persistent ground leak in the water supply throughout our stay that created numerous wet puddles in our entire site. As a result, we were not able to use our patio area. We reported this to the Office the second day, who did not seem terribly interested. Nothing was done to address the leak, and we were not offered to move to another site. The Camp WiFi ranged from barely adequate (0.3 Mbps) to completely unusable, which was most of the time. There is no cable TV, so we used our DISH system. I personally would never stay in this RV Park again. We camped at Hill Country Cottage and RV Resort in a Travel Trailer. Take a drive to Gruene and visit the shops and restaurants. We had two fantastic meals at The Gristmill under the water tower. Sites good, park attractive. However, we had to lie to get a spot!! None of their ads say that rig has to be under 10 years old, ours was 10 years, 1 month and we were refused, sight unseen! Called back and said our rig was 1 year younger...and got a site. Then we saw many older rigs in the park when we got there. Also, we had to wait 3 hours, and 2 phone calls before we could get someone to fill a large hole in our site; this slow response was a complaint of our neighbors, also. We were told that they hire out their maintenance so camper had to deal with outsider if there was a problem...and Park was not responsible! Bath rooms very nice as was laundry, altho more expensive than we've seen before. This was our second time in park but will not stay here again because of age restriction... not condition of rig. Also had wrist bands that were supposed to be worn to all functions ... WiFi was iffy! We camped at Hill Country Cottage and RV Resort in a Motorhome. About 50 miles from Austin airport and San Antonio. Lots to see in New Branfels and Gruene. Nice park, friendly staff. All worked well. Great location, lots of stuff nearby. Stayed there because of the TWO indoor pools they listed in the ad, but there is only One Indoor pool and spa and the hot tub was closed due to construction. It did get warm enough during my stay to use the outdoor hot tub and it was great!!!!! We camped at Hill Country Cottage and RV Resort in a Motorhome. We were assigned a nice level long gravel pull-thru on top of the hill. There was a paved patio, picnic table and grassy strip on both sides. The site was accessed by nice wide paved roads. There was a wifi antenna adjacent to our site resulting in great service. There was about 40 channels of cable tv although the over-the-air channels were clearer. As a dog owner, the light inside the fenced dog park was wonderful. The large private shower rooms were very clean. Garbage disposal was great in the well placed dumsters. The outdoor pool was warm and the hot tub was hot. Rate was with Passport America. Wonderful Bargain! We camped at Hill Country Cottage and RV Resort in a Motorhome. Located right off of I-35, nearby to Schlitterbahn Waterpark, a must if in the area with family!! 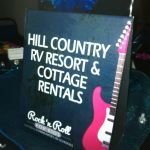 Are you affiliated with Hill Country Cottage and RV Resort ?